The advent of digital media means that many news organisations are re-thinking their business models, and facing new challenges. But one sector which has seen growth, is the not-for-profit start up industry. In a new report, published jointly by the Reuters Institute and the Information Society Project at Yale University, Robert H Picard, the RISJ’s North America Representative and colleagues examine the legal framework in which these operate in. Picard, along with Valerie Belair-Gagnon and Sofia Ranchordás (both Yale University), studies the challenges thrown up by legal systems which don’t include journalistic activities within the concept of ‘charitable status’. “Legal and regulatory definitions of charitable purposes hinder news organisations from achieving charitable and tax exempt status and receiving the associated benefits in Australia, Canada, Ireland, the United Kingdom, and the United States,” says Picard. 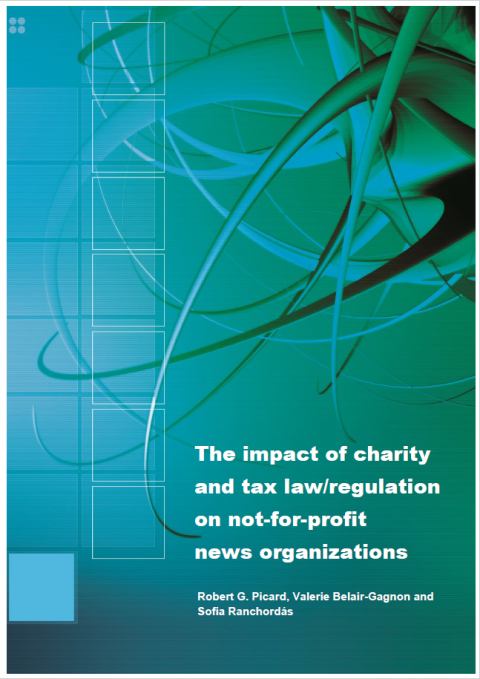 Drawing on the regulatory systems of Australia, Canada, Ireland, The UK and The US, the report sets out to gain a clearer understanding of the legal frameworks for charitable and tax exempt status for news organisations and the distinct challenges that may hinder their development.